The LS388 is the latest addition to the Landsail passenger car range. 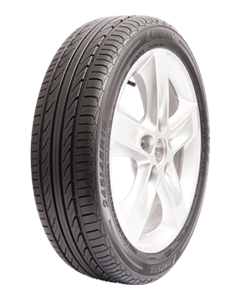 Leading edge tread design coupled with an advanced silica compound combine for a fuel-efficient drive. Four wide longitudinal grooves channel road water, while lateral grooves work to direct it out from under the tyre. The shoulder is integrated with heat-resisting bars to keep the tread blocks stable and protect them from irregular wear. For the same reason, the design also improves high-speed cornering stability. Optimised tread pitch width and alignment for quiet resonance and reduced road noise.